In order to cover the bases for whatever obstacle the next year is looking to throw at you, you would be a fool not to see what Rukka is looking to offer you for your next ride. 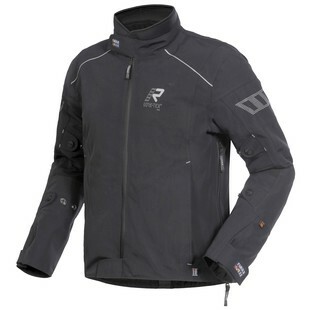 The new Rukka Thund-R Jacket offers the top of line materials and comfort in order to protect you and have you riding through any weather. This jacket offers Gore-Tex Pro three-layer laminate baked into the outer shell, a very warm detachable thermal liner (60g) along with a nice and comforting neoprene collar, and their highly protective D3O armor in the shoulders and elbows. It also offers a connection zipper for Rukka riding pants, very functional 2-way ventilation zippers, and multiple points of adjustability in order to achieve a more secure fit. In conclusion, before you decide to gear up for your next ride. Find the time to check in on the look, function, and feel of the Rukka Thund-R jacket and compare to whatever jacket you currently own. You may find yourself riding with Rukka before you know it.